Victor Woolson has been located. OSWEGO, NY – The Oswego County Sheriff’s Office is investigating a report of a missing person. Victor Woolson, 19, of Scriba, was reported missing. Woolson is described as being a white male, approximately 5’6″ tall, 145 pounds. He has brown hair and hazel eyes. He may be wearing glasses. He was last seen wearing a black hoodie and black T-shirt. 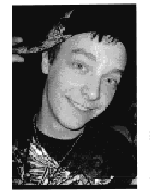 Woolson might be operating a 2004 orange Pontiac Aztec bearing NY Reg-PSJ312. Anyone with information regarding a location for Woolson can contact the Oswego County Sheriff’s Office at (315) 349-3411.